"BREATHING NEW LIFE INTO A BYGONE ERA OF PARTY MUSIC, THE DAPPER DUDES SPLICE HORN-LADEN SWING, RAGTIME, DIXIELAND, JUMP BLUES, AND OLD-TIME INFLUENCES INTO ORIGINAL, WHISKEY-FUELED CONCOCTIONS THAT ARE AT ONCE RAUCOUS, THEATRICAL, AND JOCULAR." Voted "Best Local Band" by Daily Tar Heel readers and staff in April 2015. 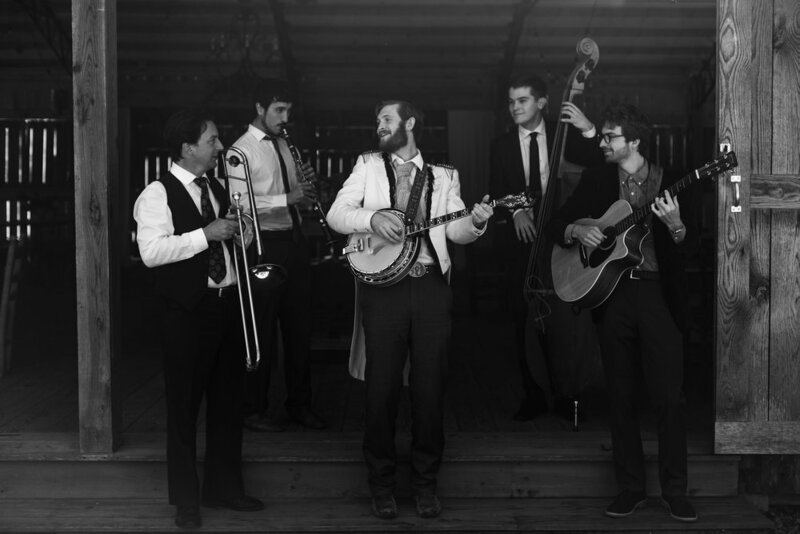 "This folksy, swing-ragtime band from Chapel Hill is making waves for it's high energy performances and groovy dance tunes." "These whiskey-soaked tunes can easily lead to some foot-stompin' hootin' and hollerin' (pardon, that's the eastern North Carolina coming out in me)"